Club 9630 heeft als beoordeling 3.0 van de 5 door 2. 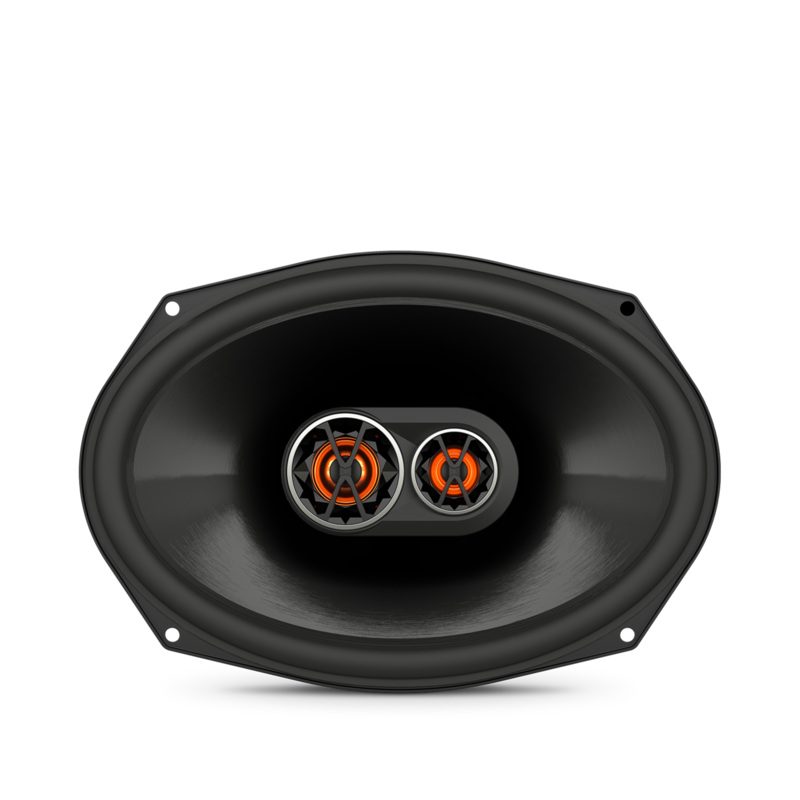 Rated 5 van de 5 door I have no nick name uit I just installed a pair of JBL 9630s and WOW the second I turned on the power there was no mistaking that bass the deepness, tightness and clearity is like no other. recently one of the stock JBLs in my car blew, relucktently I replaced them with another brand I have never been truly happy but now, I am happy again. I have always been a JBL fan there is no comparison. Rated 1 van de 5 door Lcc26 uit Horrible I bought one set of the jbl club speakers 6x9's and sitting 7 days they are blown. Then I had another pair of the same speakers blow within another 2 weeks with my bass in the negatives I will never buy these again. 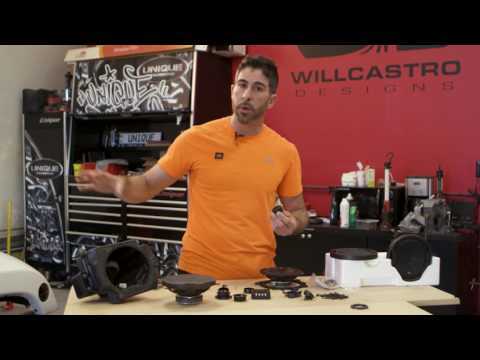 What is the depth of the spacers that come with these speakers? We sincerely apologize for the delay in providing you the answer. The CLUB 9630 has a 1/2&quot; spacer. If you were going to build a custom ported box what air space would you need? Unfortunately, we do not have t/s parameters as the Club 9630s are designed to be used in free-air/infinite baffle designs. Sadly, we cannot recommend a ported enclosure. It would depend on your headunit. But you don't need any wire adapters for this. If you need further assistance,please submit a case request at www.jbl.com/support-contact.html and the Customer Service team will be more than happy to further assist you. Yes, as long as you use an amplifier than can power these Club 9630 speakers, you should be fine. I just bought a pair of these 9630's, 3020's and 6520's and installing a pioneer avh1300 and don't plan on using my factory amp. When connecting the front four speakers ( 6x9's a 3.5's ) should these be wired in series or parallel? Hi! The resistance of the speakers would add up if they would be wired in series, and would cut in half when wired in parallel. Amplifiers for car audio would usually play around the 2 ohm and 4 ohm resistance. Since the resistance of the front four speakers you have mentioned are all 3 ohms, I would rather suggest that the speakers would have their own terminal on the amplifier to avoid the resistance of the speaker loads connected to the amplifier to be too low or too high. The Normal car speakers would usually be at 4 ohms so you should use speakers close to 4 ohms. 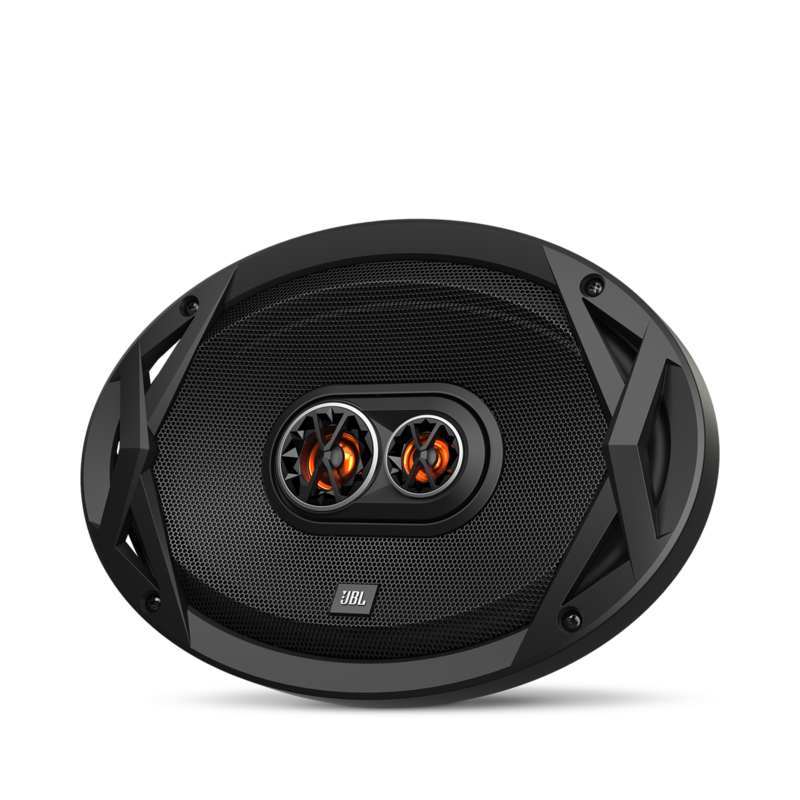 The JBL Club 9630 should fit with your 2017 Camaro, Since this speaker can handle 80W RMS at 3 ohms and It's also bassy with it's frequency response of 50 Hz-20kHz. Will this work with JBL CLUB 4505 5 channel AMP? The CLUB 4505 drives 65 Watts RMS at 2&nbsp;ohms&nbsp;and 45 Watts RMS at 4&nbsp;ohms. &nbsp;The CLUB 9630 is a&nbsp;3&nbsp;Ohms&nbsp;speaker that can handle up to 80&nbsp;Watts RMS. &nbsp;With this speaker connected to this amp, CLUB 4505 would roughly provide 55 Watts at that impedance level and will do just fine with the CLUB 9630.